I am just having the most fun with my calendars. I really and truly will stop soon, but I just have so many ideas I kinda feel like I have to see them through or I’ll forget! I think this one is just perfect for a gift, cause it’s a gift and a card in one. 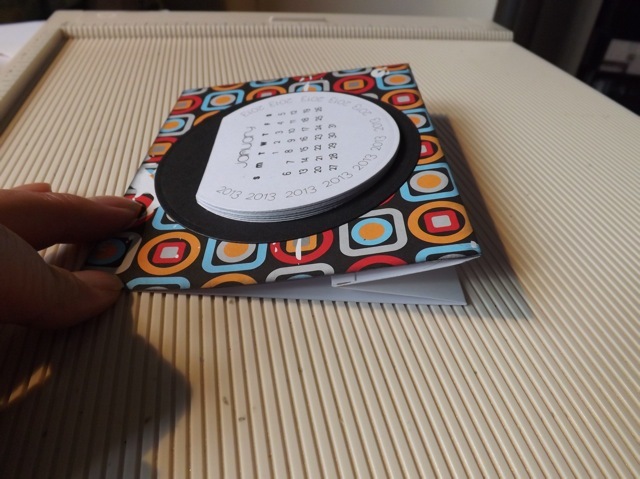 Oh, I know that little easel cards with tear-off calendars have been around for yonks but I think this one is just that little bit different. 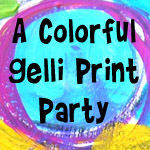 Start with these printables – or any printables you fancy, but they should be no bigger than 3 x 3 in order to fit with the measurements I am giving here. 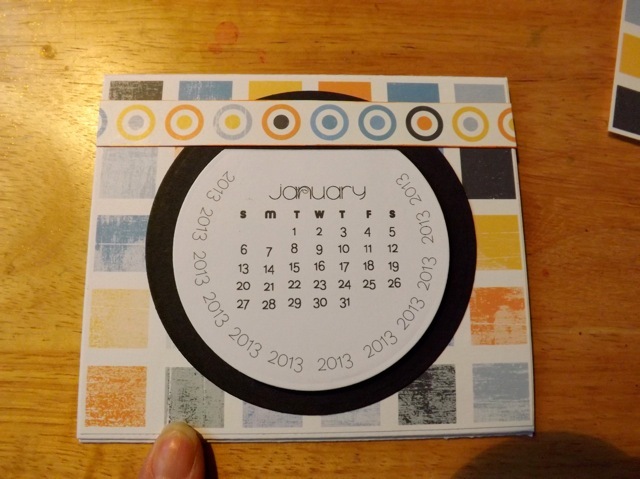 Now, I realize that the way I did it is not ideal (just that it’s a little time-consuming with the Nesties) but I don’t have a 3″ circle punch. 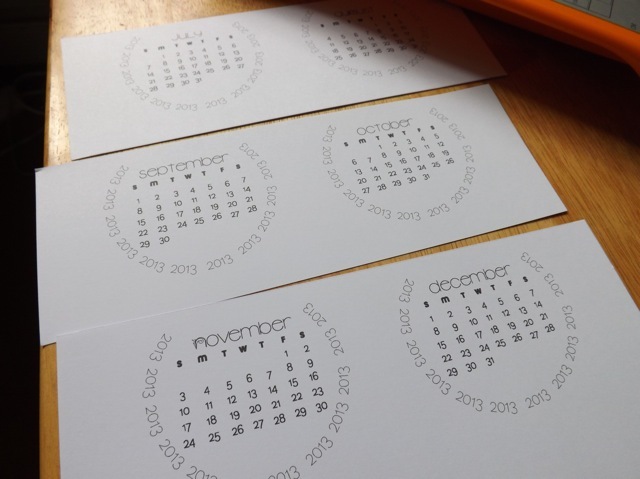 I’m going to explain how I did it with the Nesties (Standard Circles Small, 2nd largest die) and suggest how you can do it with a circle punch instead, which will be way faster. 1. Start by cutting the sheets along the faint grey lines. 4. Now, cut. 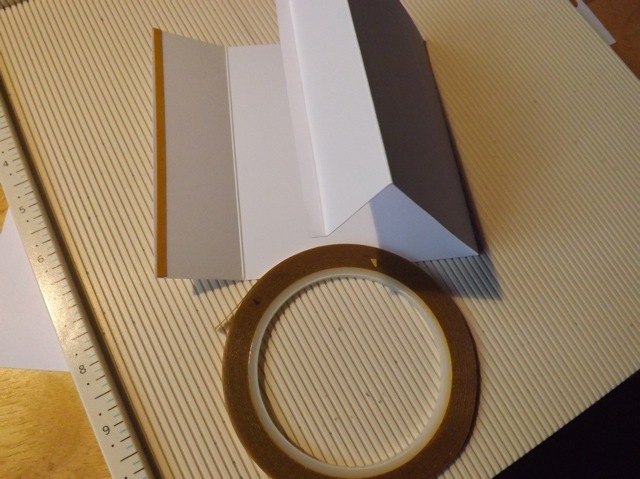 When you prepare to cut your next circle, simply line up the edge of the tape with the edge of the paper and you will have a perfectly matched cut. Take a little care that the bottom edge of the die is level. If you are using a punch, I would mark the line on the underside of the punch with a Sharpie and use those marks to line up the punching. Now, as usual, make your stack, and glue. I showed this in a previous post. Now for the stand and card part. 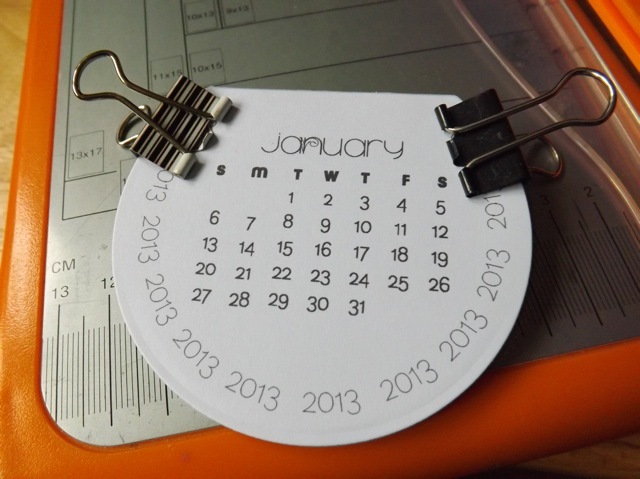 I saw a post by Scrapdolly from UKS for making a calendar stand. Hers has a binding wire at the top, but I was looking for something a little simpler for this. But the stand idea fit perfectly for what I wanted! Now, fair warning. This is based on A4 paper. 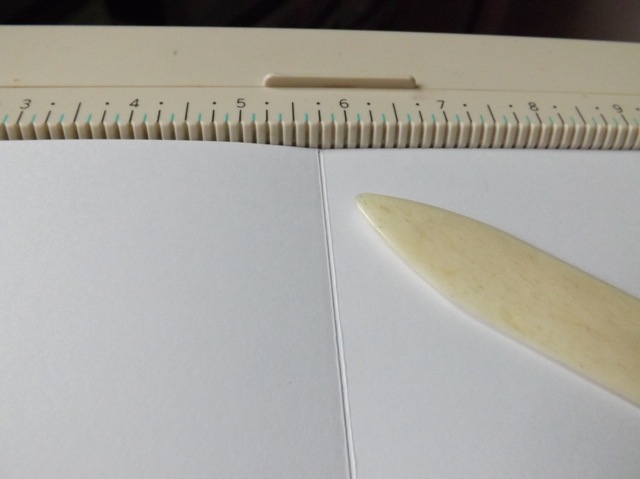 You could cut down 12 x 12 cardstock to A4 size (and that is 11.7 x 8.3 inches so not the same as US letter) or you can fiddle with the measurements and get something close – I’ll have a bash at saying what I think would work, but I’d test it on scrap paper and tweak the measurements. 1. 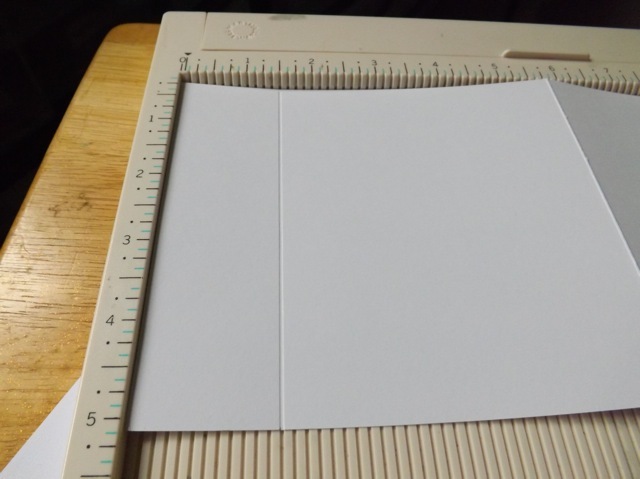 Cut a sheet of A4 paper to 5 inches along the long side and score it at 5 3/4 inches. 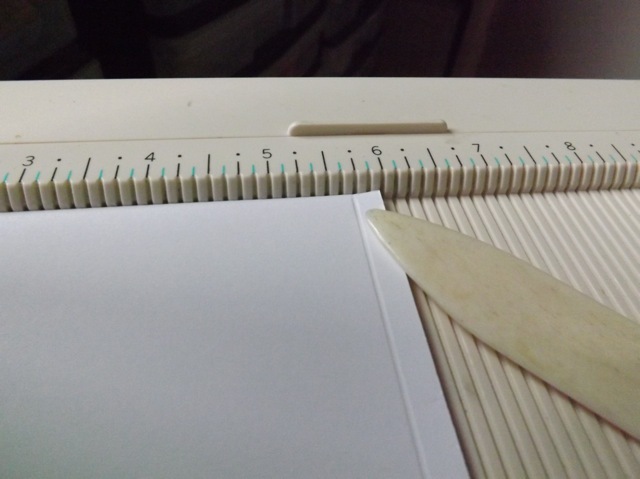 That is basically it 🙂 Add a line of double-sided tape (one with a backing on it) to the 1/4 inch valley, or to the inside of the opposite side, like shown here, and LEAVE THE BACKING ON IT. 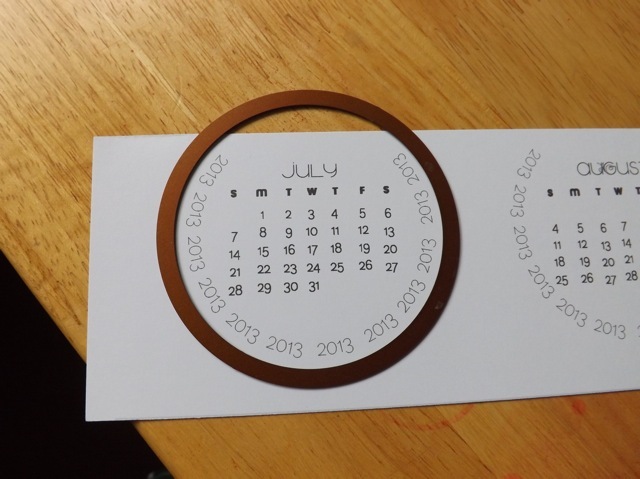 I cut a black circle a bit bigger than the calendar bit and added a scrap over the top, echoing the cut off top of the circle. 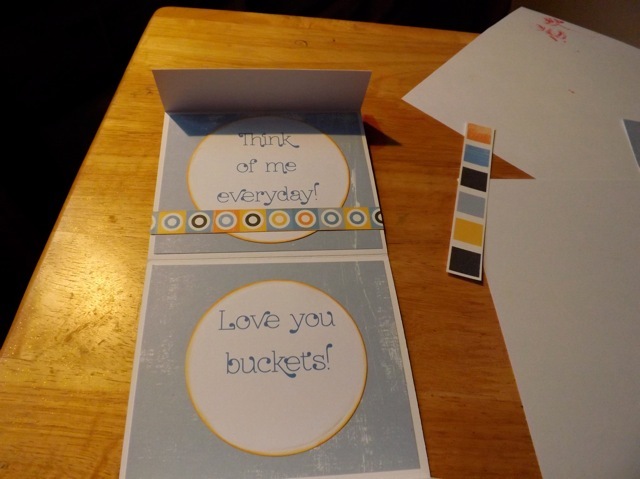 I decorated the inside with some scraps and circles that I printed a sentiment on – I thought the sentiment matched the gift perfectly! Just another scrap and room on the lower circle to sign it! 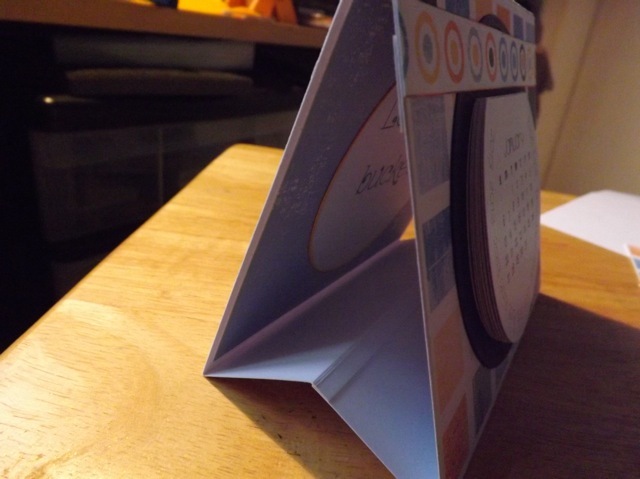 I think I would fold and secure it for the person if I were there when I gave it to them, otherwise I would just add a slip of paper explaining how to assemble. 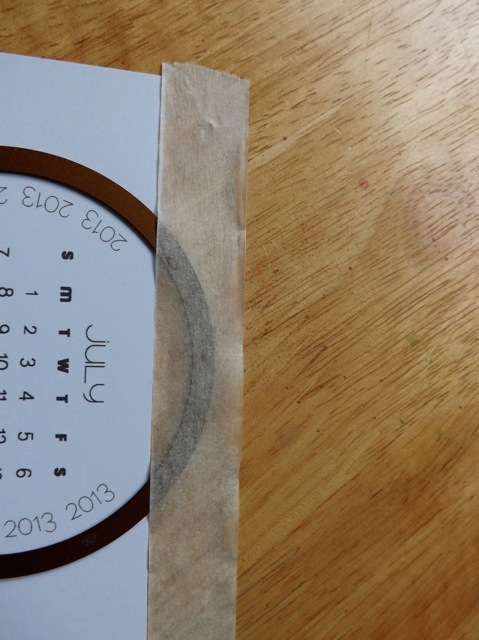 Or as an alternative, make it, fold it, and add the sentiment to the BACK of the calendar. 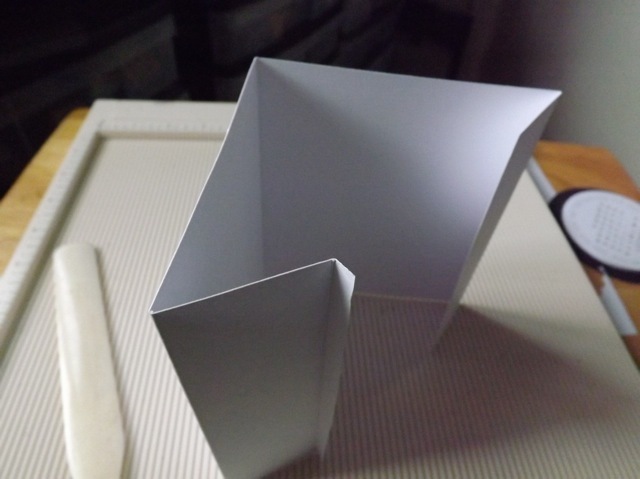 Due to Karen’s clever stand idea, it will easily collapse to fit in an envelope when it is already assembled! The disadvantage is that if their desk faces a door the sentiment will be on view, but that is a minor issue. Just don’t be gushy! It will fit in a 5.5 inch square envelope. Now, US letter paper. I would cut it to 5 x 11 inches wide, then score in the middle at 5 1/2 inches. Score one side end at 1 inch and the other at 1 1/4 the at 1/4. You will have only a one inch stand, but I’m not sure that will make any difference. Phew. That was a pretty huge post, but I hope you find it useful! Ok, yes, if I could follow a link before ASKING, if would be a good thing! :o/ Got it! Thanks again for the great ideas! I love this! The circle thing is so awesome! 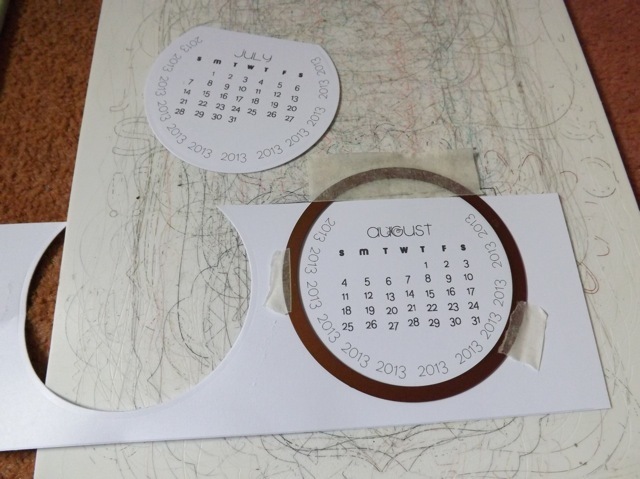 Already printed my calendars, but could you tell me where to find the directions for the gluing part please? Off to cut my circles now! Thanks! That’s fabulous – I love them. And I’d never have figured how to get it the same each time with Nesties. This is pure genius! I can’t wait to make one .. or two … or twenty …lol. Thanks so much for the inspiration and the instructions.